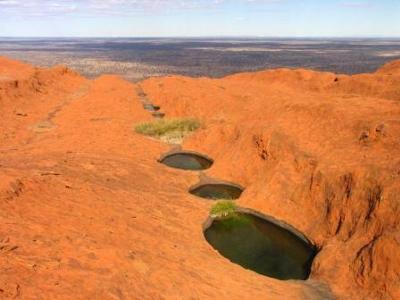 Fantastic, Uluru is not to be missed! I had low expectations of my visit to Uluru, after all, it is one of the most common images of Australia, and we've all seen it on every guide, programme or brochure about Australia...so much so I felt I knew it well before I arrived! Well, to say I was blown away is a bit of an understatement, I was spiritually moved... by the sheer size and majesty of it. The setting was so surprising too. I expected barren land, and was non plussed by all the green scrubland, and lack of red centre imagery. (Nov / December visit). Lots of other people being around didn't worry me at all... as I said it was for me a spiritual awakening, and it felt good to have other people recognising and "worshipping" at the same time! There were so many surprises on our walks around the base, caverns, pools, wind whipped rock crevices. Amazing. The visitors centre was well thought out, presented and well worth visiting. We drove with a camper trailer, and found the camping facilities great. I am about to visit Uluru BUT I will NOT be climbing the rock. A few years ago I studied Tourism studies and learned a lot. 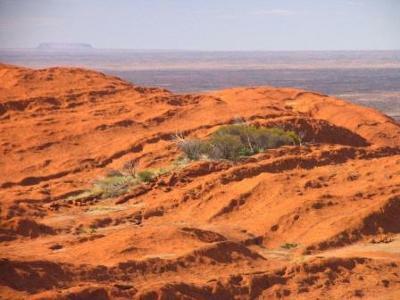 I did not know about the history, the heritage and the beliefs of the Aboriginal people of the Uluru area. From that I learned, I would never invade their privacy and beliefs by doing so. It would be like people going to St Paul's cathedral in London and tourists starting to climb up the outside of the dome. I don't think so!!! And I know for sure it would not take the English bobbies long before they had the climbers arrested. So my tip is read and learn about this wonderfully sacred place and the owners of this land and then THINK TWICE before you disrespect them both. Uluru - Once In A Lifetime! 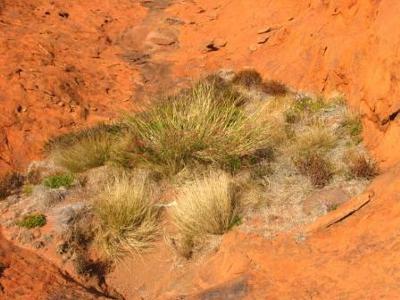 I came to Uluru knowing I did not wish to climb it as I wanted to respect the beliefs of the aboriginal people, the Anangu. I walked around the base and got to see the various sights of interest and also got educated along the way. I loved every second of my visit there, and feel very blessed by the experience. I had a lovely three days at Uluru and myself and my travelling partner decided very quickly that we would not climb Uluru. I had been told by an Aborigine that the reason they ask people not to climb it, is because it is a sacred place. People have fallen and died while climbing up this amazing rock and they do not like this to happen in such a sacred place. Tourists should respect their wishes and find other places (which there are) to admire the spectacular scenery. 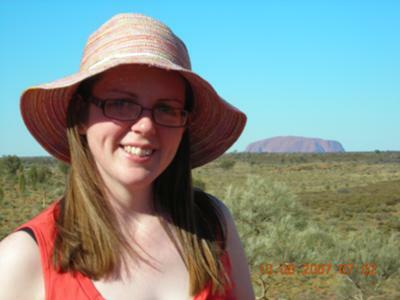 Climbing to the top of Ayers Rock was one of the most amazing and profound experiences of my life. It ranks with being on glaciers and active volcanoes. Ayers Rock "talks" to you. Talks to your soul. The silence. The breeze. The age. The colours (Ayers Rock is actually grey, only the thinnest outside layer is red).The variety of sounds the different rock layers make when you walk on them. The pattens in the rock. The layers of age we cannot comprehend. The plants and the waterholes. 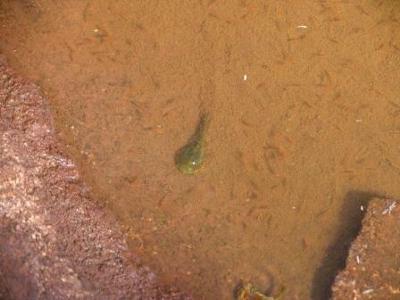 The shrimp that occur only on Ayers Rock. The birds. We only spent one day and half in Uluru area, and even if it was a bit short we really enjoyed it. We didn't climb it, we was hesitating with all the issues, and finally we didn't take the time to do it. We walked half the way around, and it was really beautiful, the colors, plants, and the high of the rock itself! I don't regret the climb: you don't need to be at the top of everything to discover its beauty. If you choose to do it, please be respectful, as you would be in a religious place. 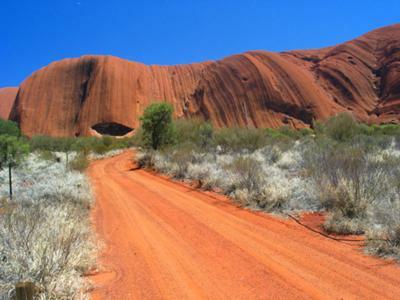 The other day we made the walk around the Olgas, and it really worths it! The place is really beautiful, it is perfect to enjoy nature. I think this is more exciting than climbing the Rock ;) The walk is a bit long, and sometimes it's hot so bring some water.